Is your garage door more than five years old, white, and made of unmarked white panels? 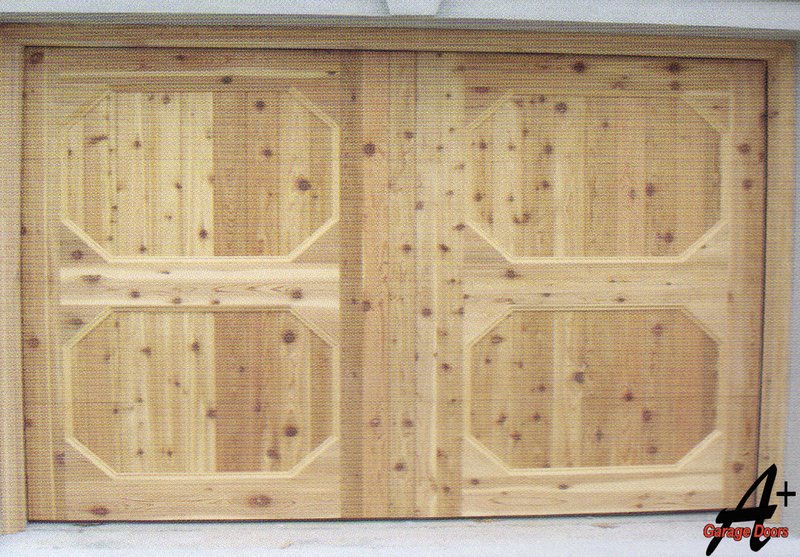 Chances are that this is the case – but your garage door doesn’t have to be boring! A reliable Garage Door Company, located in Mint Hill, NC area, can install the garage door of your choice. Let your garage door show your individuality. There are many choices for ways to upgrade your garage door, and A Plus Garage Doors would be happy to help you find the perfect door and opener for your home! Here’s one of our blogs dedicated to guiding homeowners through the process. If you’re interested in upgrading to a newer, better looking door, you have a wide pool of options to consider, such as a Carriage House door, a Ranch Style with different glass options, or a Custom Wood Garage Door built exactly to your specifications. A new opener can be quieter, more energy efficient, or controlled from your smartphone. All of these upgrades are ideal for any home with a garage door more than five years old, but especially on doors older than ten years. Any door older than 1993 might not have the essential modern safety features, namely a sensing eye beam and an auto-reverse installed. Garage door springs are only designed to operate reliably for a certain number of cycles – normally ten thousand. Although that may sound like a huge number of uses, keep in mind how often you actually use your garage door! If you use your door four times a day, you’ll reach 10,000 total operations before the door is 7 years old! If you have an active life or a larger family, odds are that your spring is already beyond the rated number of operations, and although it might still be working fine, it could also break at a moment’s notice. If you want a professional inspection of your garage door assembly in Mint Hill, A Plus Garage Doors is happy to help! Your garage door repair or installation company in Mint Hill, NC 28227 can show you tons of different styles and sizes to choose from, just contact us today! To learn about our area, visit the Town of Mint Hill, NC official website. A Plus Garage Doors is simply the best in the business. They offer the highest quality product and installation at competitive prices. We are more than pleased with our new garage doors. But the real clincher is their customer service. Jimmy you are the best!… More from Kim H.